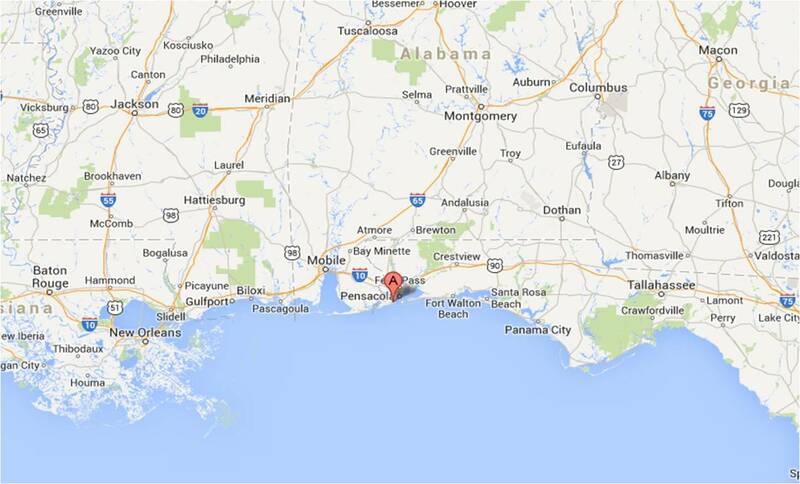 From New Orleans we traveled back to Oak Grove Park at Pensacola Naval Air Station. This is a great campground – nice sites, close to the water, nice running trail, and the camp hosts have a no-host happy hour every afternoon so you can meet your neighbors and make new friends. We didn’t do much sightseeing in the area. I did some work on the trailer and upgraded the fan in the bathroom, and we did a lot of our Christmas shopping. Even though we live in an RV we did hang our Christmas decorations in our “house.” The campground manager hosted a Christmas Party for the campground. The theme was “Your Ugly Christmas Sweater” and there were several there that I thought should have won a prize. Regardless of the attire, we had a great time, renewed old friendships and made new ones. 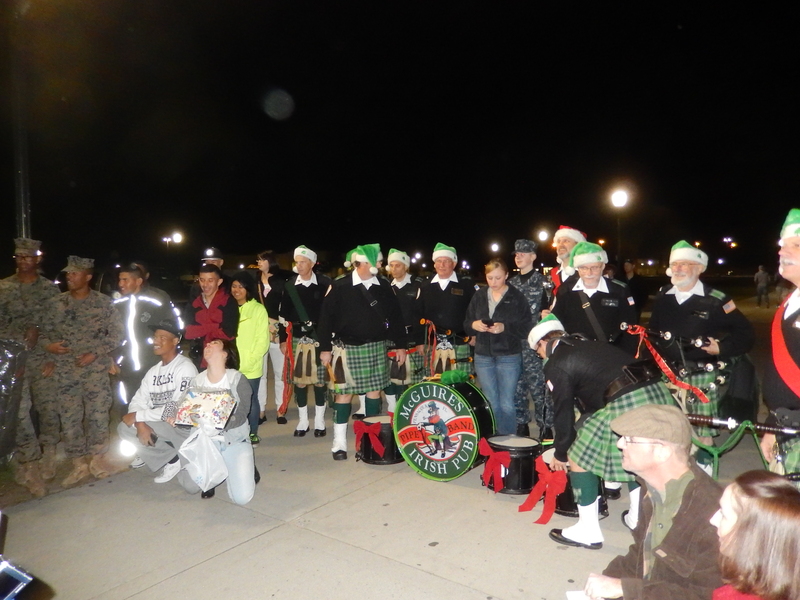 The base chapel hosted a night of Christmas caroling with a drum and bagpipe band from a local Irish restaurant. We caroled in the enlisted housing area ans many of the sailors and Marines joined us as we sang our way through the complex. 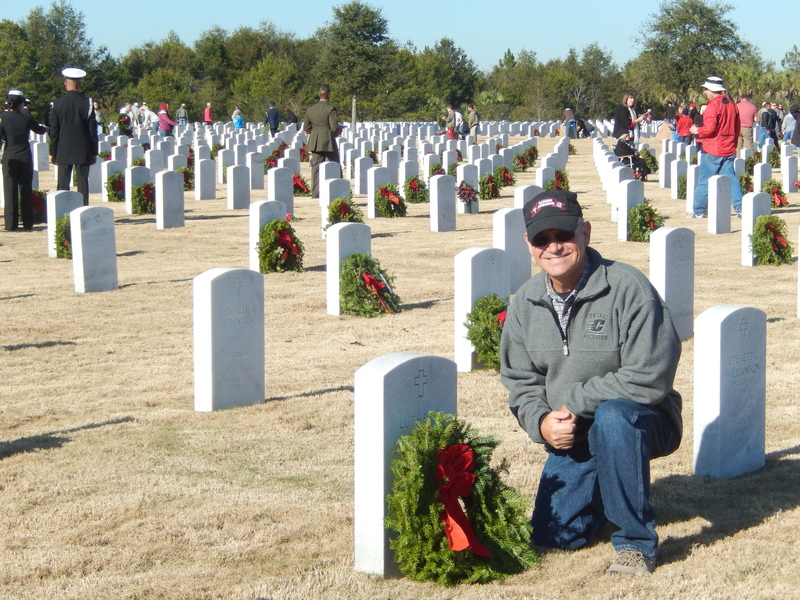 We volunteered to help place wreaths on the headstones at the Barrancas National Cemetery as a part of the Wreaths Across America program. In 1992, a Maine company, Worcester Wreath, found themselves with a surplus of wreaths nearing the end of the holiday season. The owner, Morrill Worcester, realized he had an opportunity to honor our country’s Veterans. With the help of Maine Senator Olympia Snowe, arrangements were made for the wreaths to be placed at Arlington in one of the older sections of the cemetery, a section which had been receiving fewer visitors with each passing year. This marked the beginning of “Wreaths Across America.” Over the years the Wreaths Across America program has grown dramatically and now they ship wreaths to over 540 locations. At the Barrancas National Cemetery there were so many volunteers this year that I’m not sure they needed our help, but it was uplifting to be a small part of this effort. It was moving to see families putting wreaths on headstones of their loved ones. We took a day to do some kayaking at the Big Lagoon State Park. 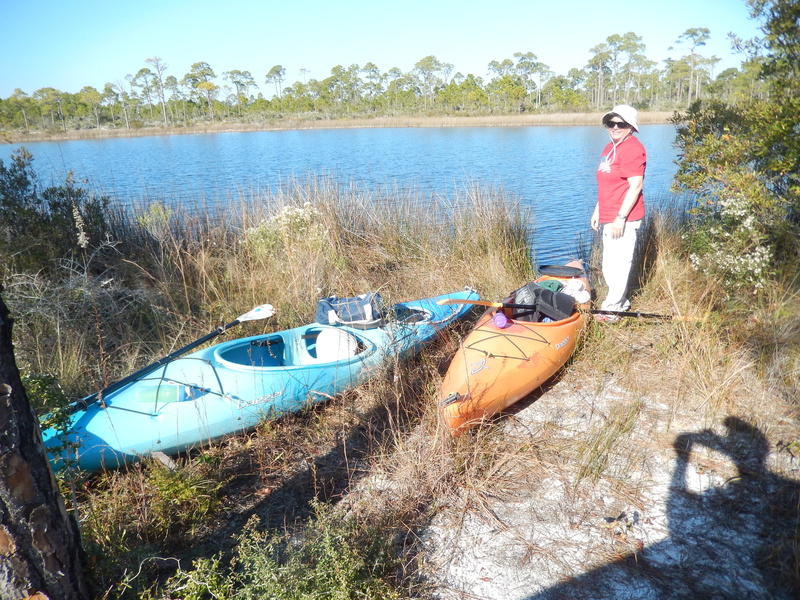 We launched our kayaks from the Gulf Islands National Seashore and paddled across The Big Lagoon to the state park. we paddled through a series of lagoons and went for a short hike. It was a nice place to spend a day. On Dec 17th, we flew back to Michigan for the holidays. Our friends, Susan and Gary Aten, invited us to stay at their home while we took care of medical appointments in the Lansing area. We were able to spend some time with our son, Dave, and do some final Christmas shopping. We met my sister and her husband for lunch in Mount Pleasant, then drove to Detroit to pick up our daughter, Elisabeth, who flew in from North Carolina. 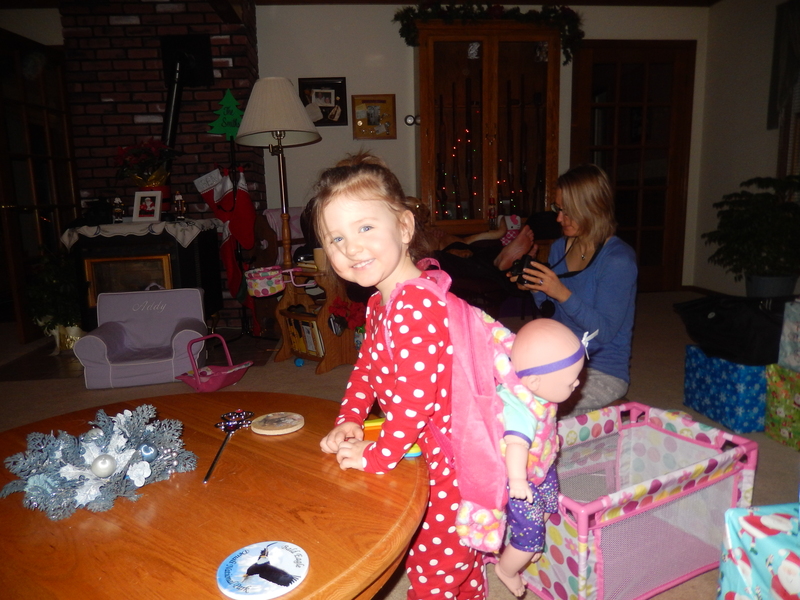 On Saturday we drove to Bad Axe to stay with Pat’s brother and we celebrated Christmas with her family. Of course the star of the show was our niece’s daughter, Addy. It takes no effort for a two-year old to be the center of attention! We flew back to Pensacola on the 30th. These were the easiest flights we have had in a long time – no delays or problems, in fact, most of the flights were early! We celebrated New Years with a New Years Eve Party and a New Years Day dinner in the campground. A great way to celebrate the start of 2015! Saturday I visited the National Naval Aviation Museum. This is my third visit, but I still enjoy it. 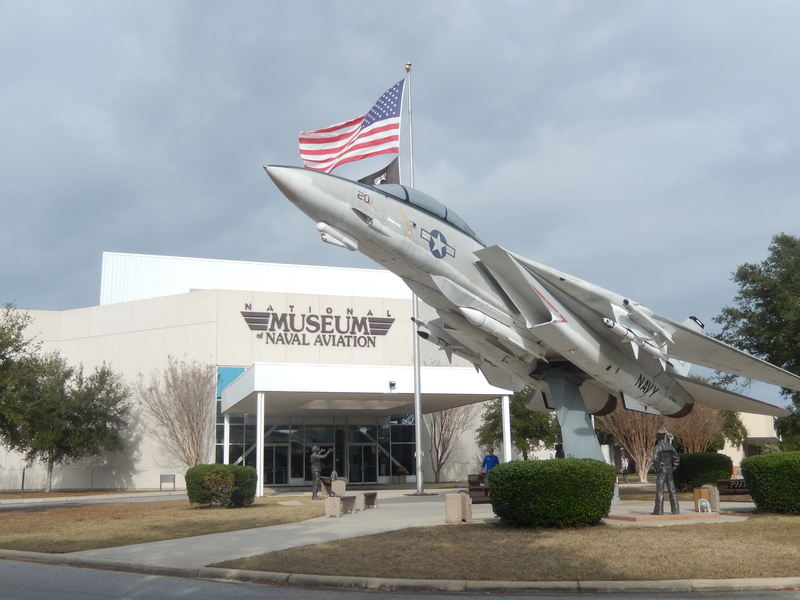 The museum covers Naval Aviation from WW I to the present. The exhibits are very well done and there are several special effect exhibits that simulate actual flight operations. One of the nice things about this museum is the planes are not roped off as in other museums, you can actually touch them! On Monday, January 5th we headed for Rainbow Springs State Park, in Dunnellon, FL. 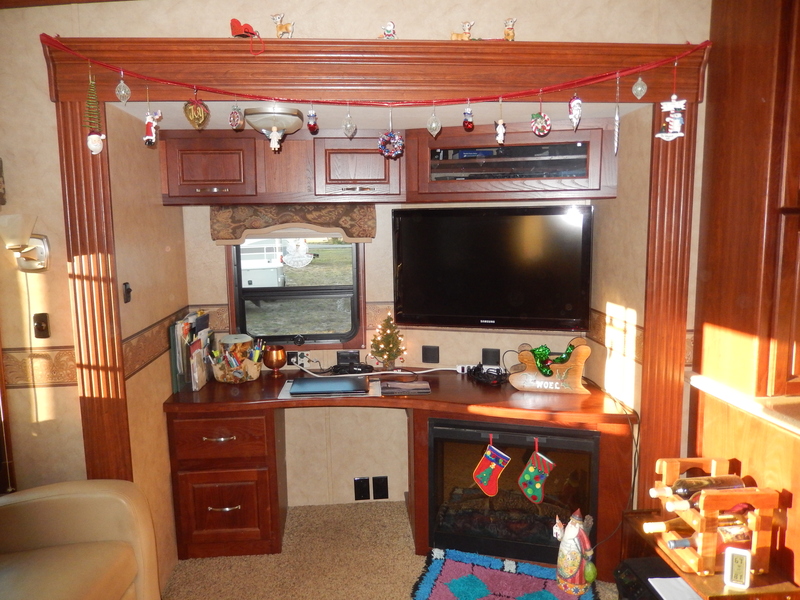 This entry was posted in Florida, Fulltime RV, Michigan, Michigan Traveler, Military RV Parks and tagged Big Lagoon State Park, Christmas holidays, fifth wheel trailer, full-time RV, fulltime RV, Kayaking, National Naval Aviation Museum, Oak Grove RV Park, RV Forums, Wreaths Ac. Bookmark the permalink. Looks like your having a great time. I know last year when you were in the area we couldn’t meet due to my wife having surgery. Next time your in the area give us a shout. I’m retiring in a few weeks and the wife’s health is good. Safe travels. Hey Jerry, glad to hear from you. We are on our way to stay at MacDill (Tampa) for a couple of weeks, then working our way to Key West for the winter. I’ll let you know when we head back up north in the spring. Sounds like a great trip! I just saw the picture of you and Pat – you guys look great!